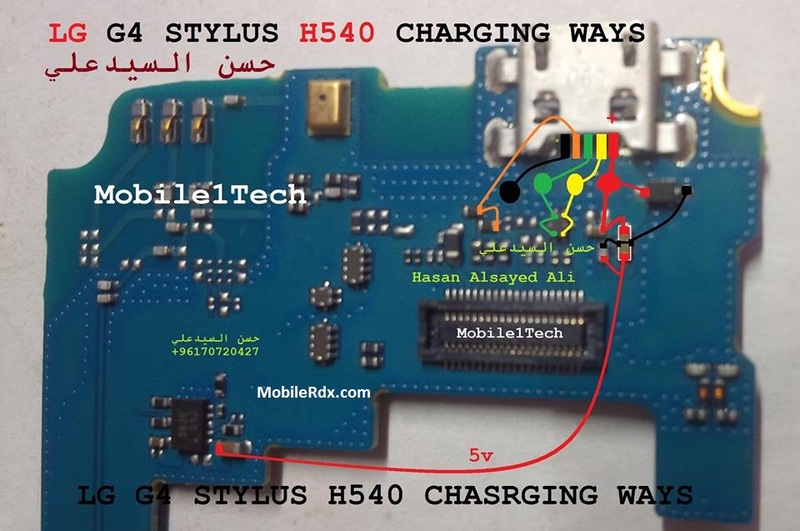 Here is the solution for LG G4 Stylus H540 Not Charging problem like there is No Charging indication shows on the display when the battery charger is being plug-in. This problem is may caused by a faulty charger or a faulty components on LG G4 H540 PCB board. This problem may sometimes happens if the device suffered wet or water damaged or just exist. If this problem occurred, you may first check the USB pin connector for possible damage and then clean it if there is an oxidation build-ups found. You may refer to the solution below and do have a check an test procedures on the highlighted components for further troubleshooting.